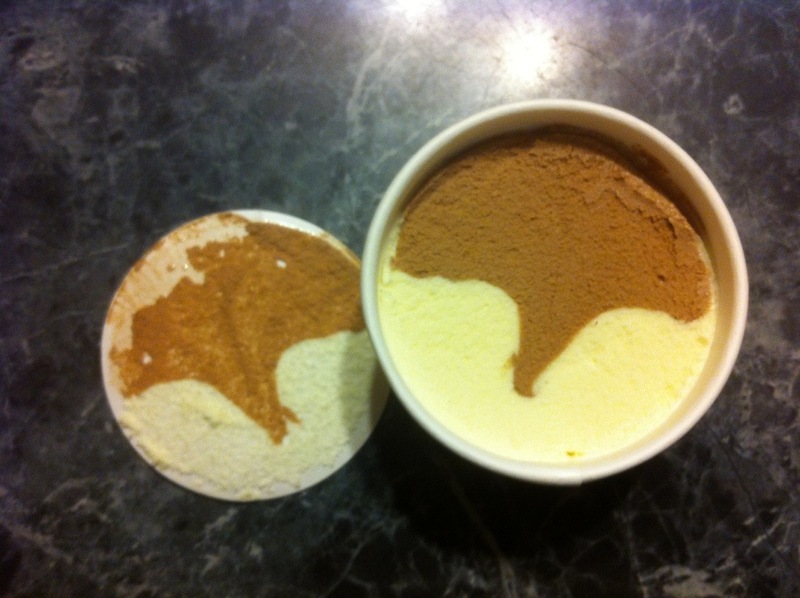 If you grew up in New England then you surely recognize this little ice cream cup. 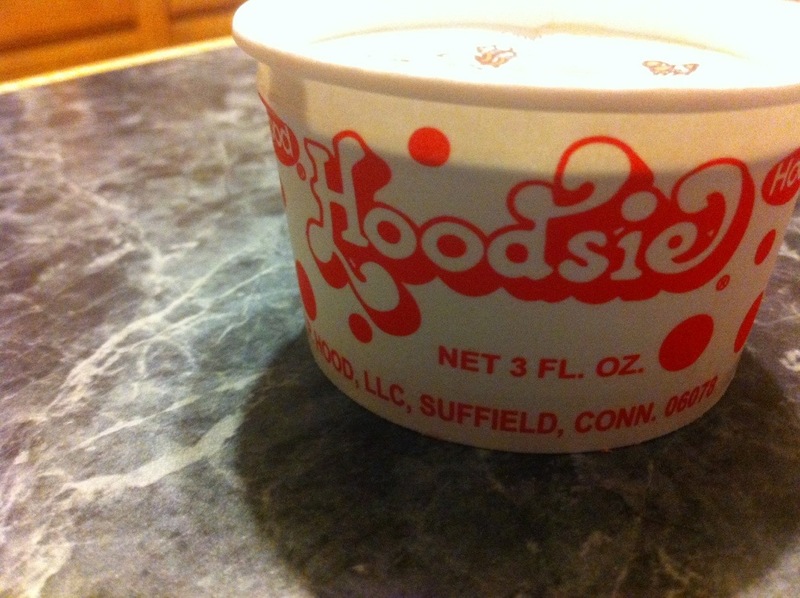 Some people call them “dixie cups” and others call them “(little) ice cream cups,” but most people know them by their name: “hoodsie”. 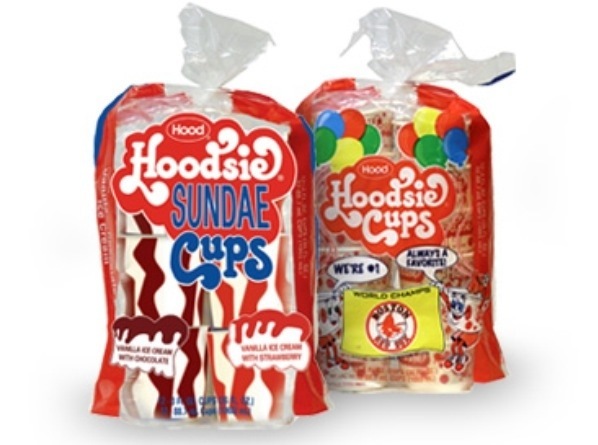 The sundae cups are vanilla ice cream with chocolate fudge or strawberry topping, and the traditional cups are half chocolate ice cream and half vanilla. 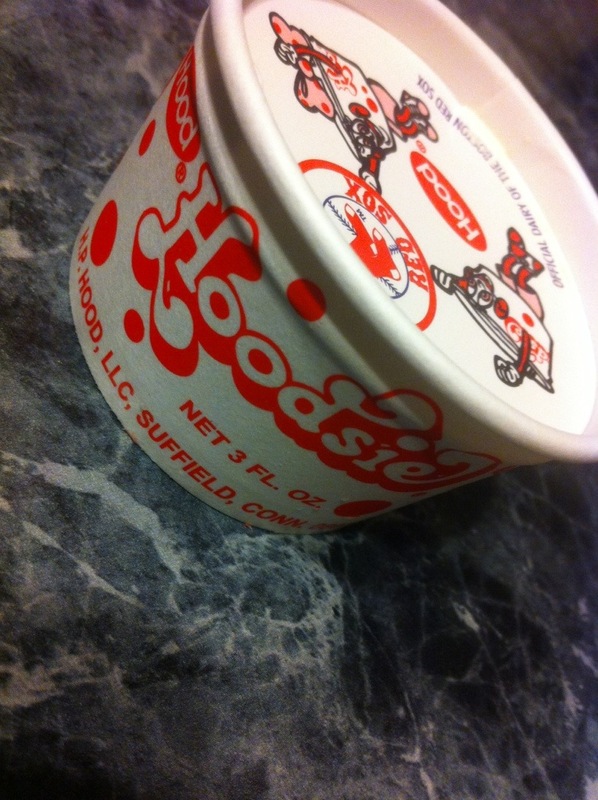 Aside from the novelty and childhood nostalgia, what I like about hoodsies is that you’re getting a classic chocolate and vanilla ice cream in a portion controlled container. At 100-120 calories per cup, depending on the flavor, this is totally a win-win snack! Sometimes I still eat mine with a wooden spoon, but peeling back the lid is all I need to make my inner child smile and to fulfill my ice cream craving. No wooden spoons came with our purchase – party kids very disappointed!